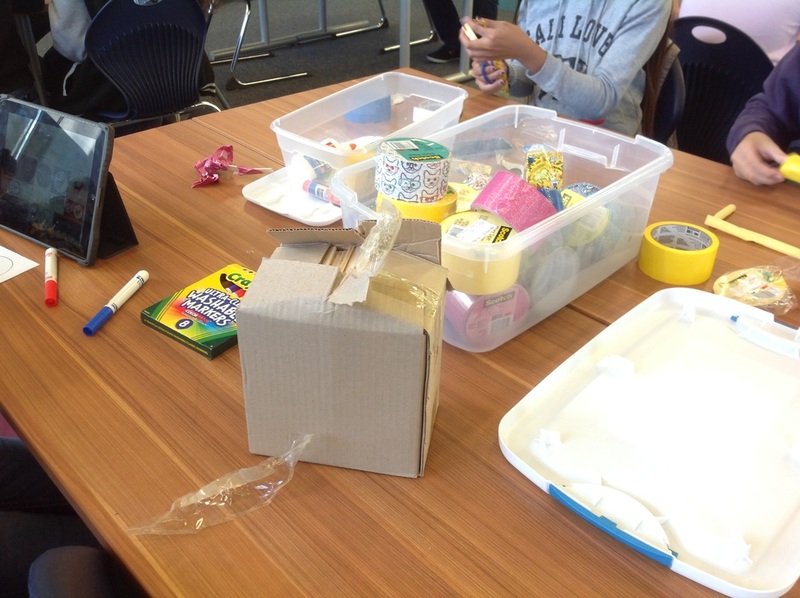 We had our first Maker Space Thursday of this year. 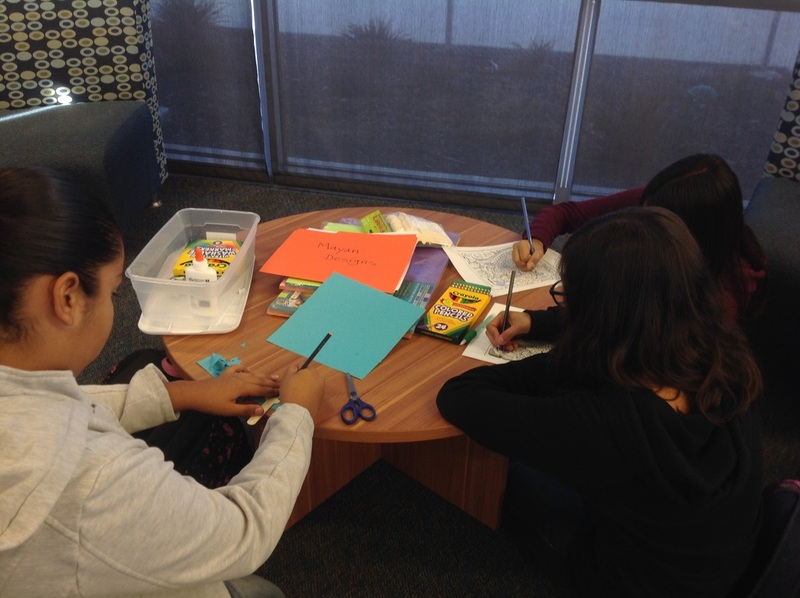 Students were invited to come to the library and participate in different activities. 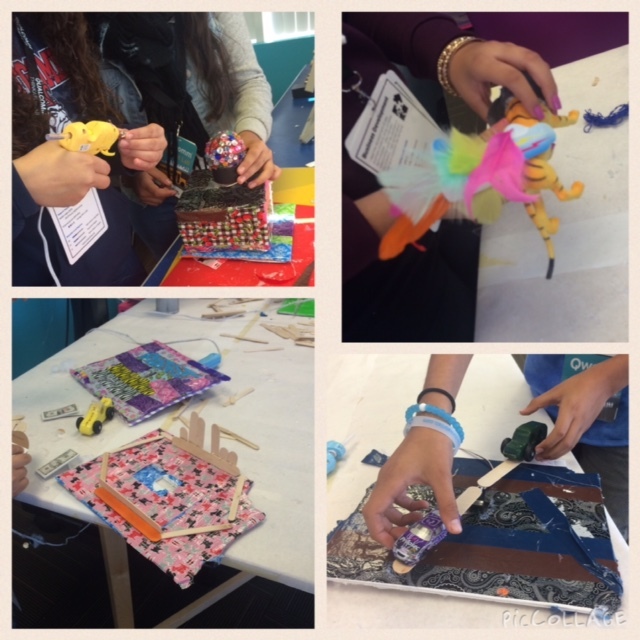 Everyone was using their own creativity to build different things. 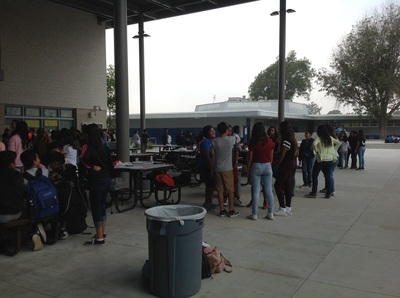 This event has a very positive environment and everyone got to share ideas and use their own originality. 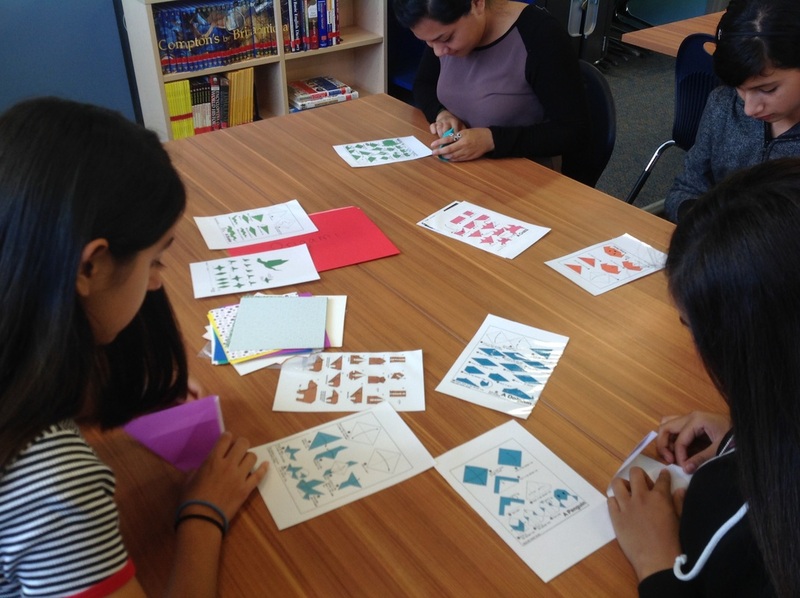 The stations included origami, button making, making flowers out of duct tape, and building. 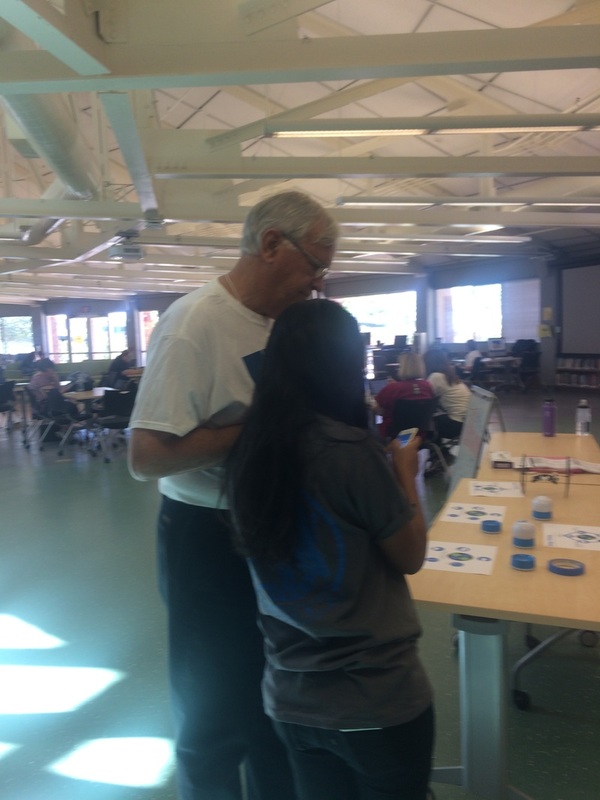 Mr. Zumstein attended and made buttons at the button making station. One important thing we noticed was that each group had teamwork. 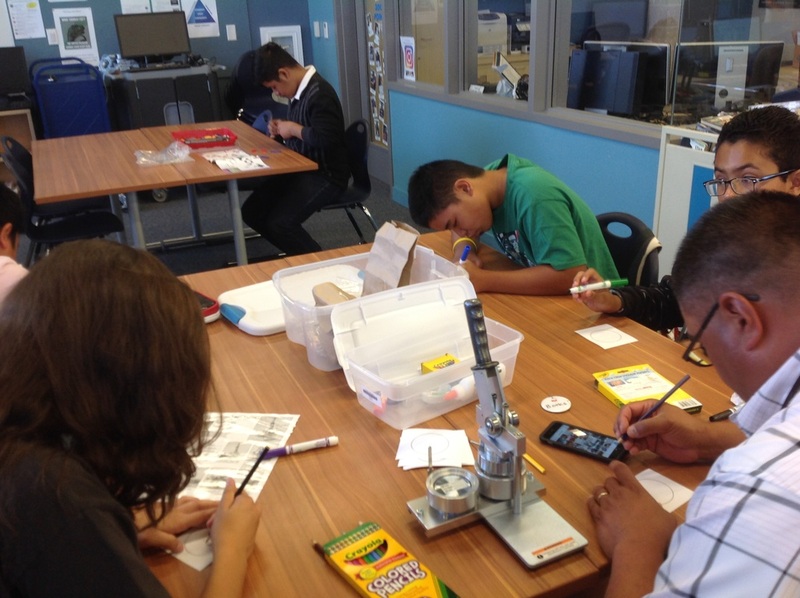 We hope to see you in the library for the Maker Space Thursdays! We have finished SBAC testing and will soon get back to our normal schedule. We haven't been able to use the green screen, since teachers around the school have also been using it. Hopefully later this week we will be able to get it back and film something else. We're currently planning what to film for a video, a civil war is something I've heard that we might film. I'm also currently watching them trying to set the green screen up and Abby almost got knocked out by a tube. Hopefully by the end of this week we'll have a new green screen video. Here are some of our members encouraging you to celebrate an upcoming holiday! 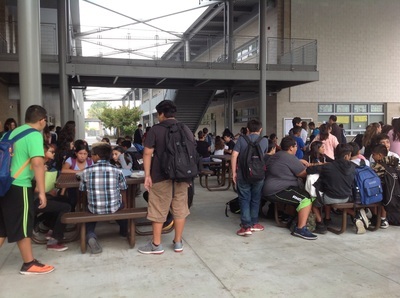 Awhile ago, our assistant principal, Mr.Vargas, came to Genius Bar and showed a green screen project. We got green butcher paper and hung it up and started playing around with different background effects. We are soon planning to make educational videos or pictures with our green screen and getting a green tablecloth to make the videos or pictures smoother. We have done cool background effects like galaxy, our school, and sitting on a huge beach chair! We are excited to do more things with the green screen and have fun doing different backgrounds. Yesterday, we just came back to school. Having recently come back from Winter Vacation, no one is feeling very enthusiastic or excited. Besides that, we all have to get used to waking up early again. In the words of an icon, "Don't mess with me, I woke up at 6:30." Anyways, we recently got a new assistant principal. His name is Mr. Vargas. We learned from him that he loves working with technology. We are excited to work with him in Genius Bar. 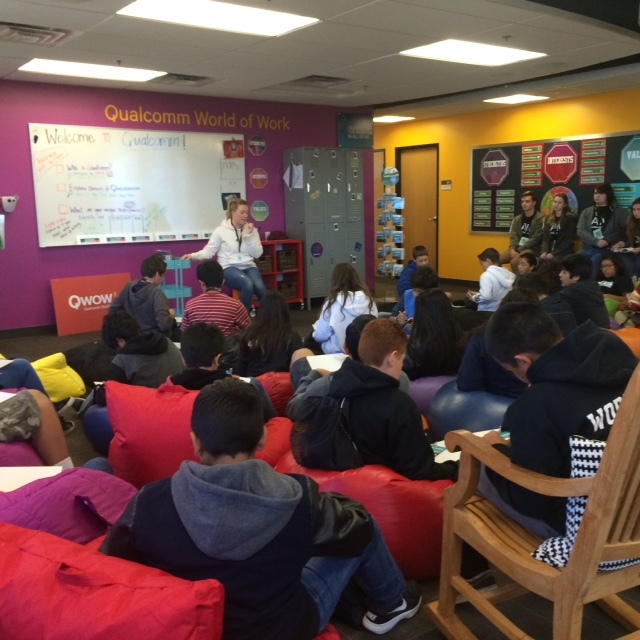 On Monday, we went to Qualcomm for the Thinkabit Lab. 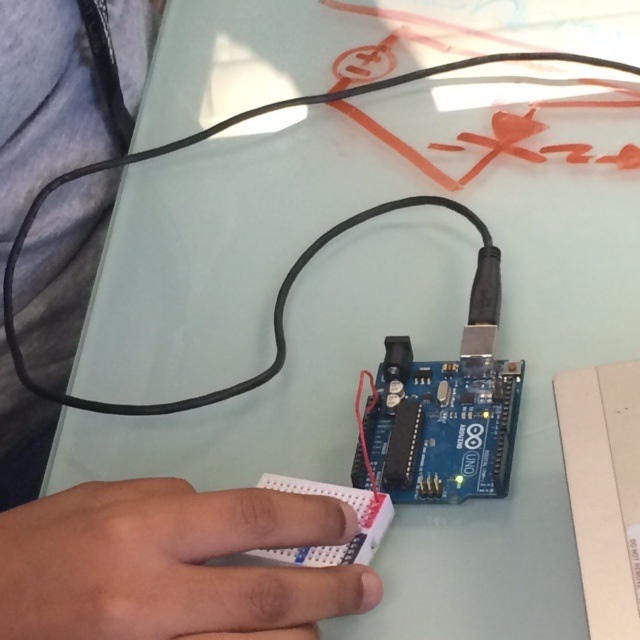 We learned about microchips and programing. 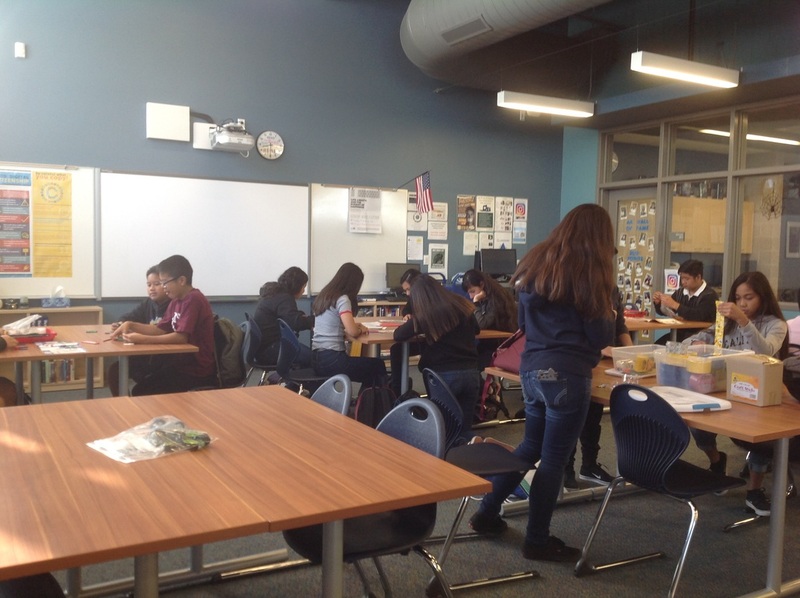 Thanks to Qualcomm, they gave the opportunity to learn and let us program LED lights and built moving objects. We were allowed to present them in front of our entire group and show off our works. A big thanks to Qualcomm for giving us the opportunity to learn about programing and robotics. Last Saturday, Genius Bar went to Carlsbad to the presentation. Our members, Anne, Corina, and Max presented on what Mayan Genius Bar means to us. During our presentation, we met many people and found that many wanted to have a Genius Bar for their own school as well. We found it really cool that some were inspired by us. 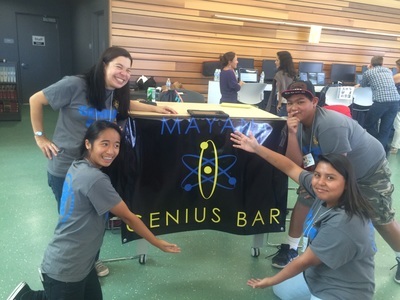 During the Student Showcase, a lot of people came by asking "What is Genius Bar about?" We answered them by explaining that we help others and discover new apps or websites to use while learning. We not only presented and talked about what Genius Bar is, but we also talked with other teachers or students who went to SDCUE. We saw someone using a 3D Printer that was absolutely amazing. Another was that a school was also using magazines, but instead of paper it was online. 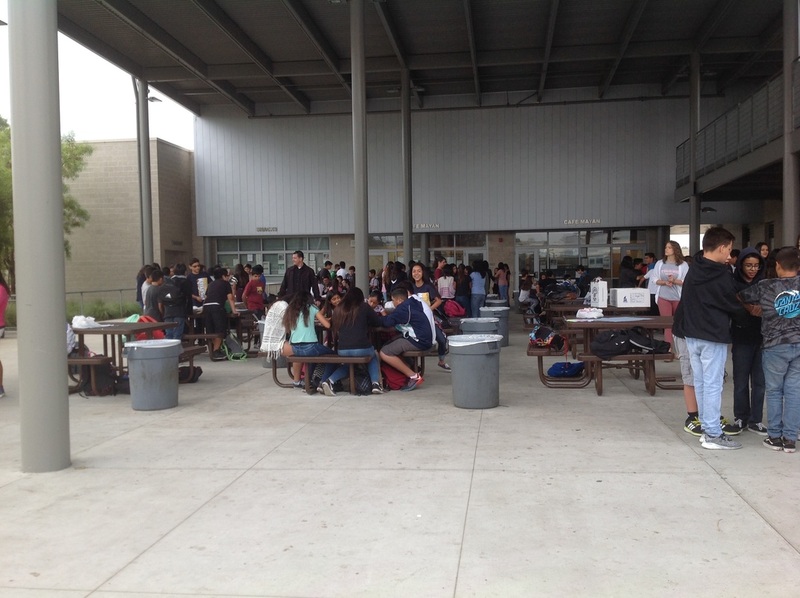 Anyway, going to SDCUE was a really cool experience for us. It taught us that not only kids are the ones interested in technology, but also adults. 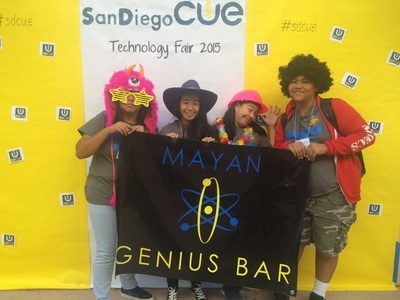 On Saturday, we are going to Carlsbad to present what Mayan Genius Bar is about. Currently, we have been working on a intro about Genius Bar. We are going to be speaking based on what we do in Genius Bar and who we are. 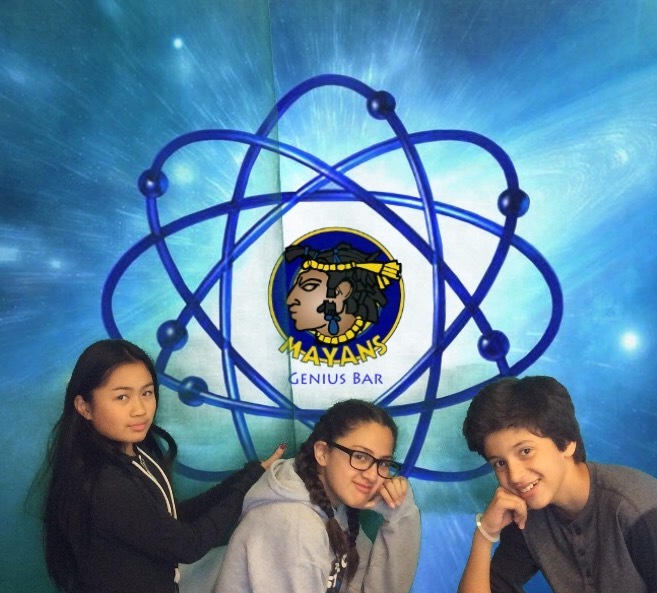 Mayan Geniuses are looking forward to going to the meeting. We hope to see you there. 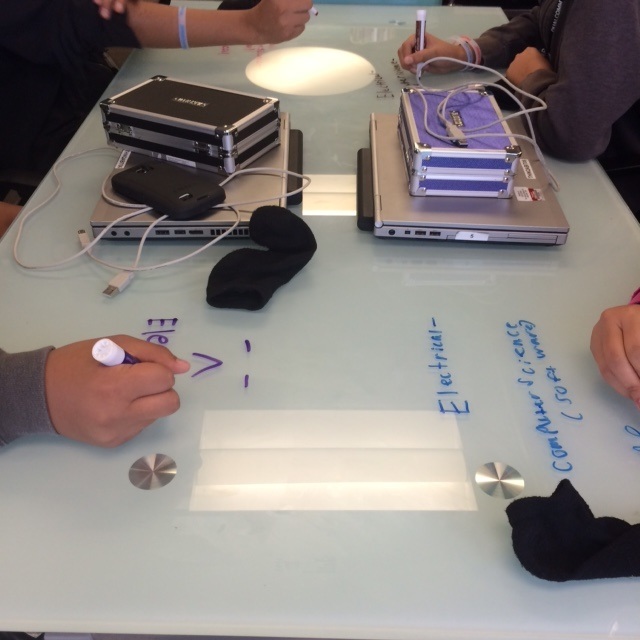 Our Mayan Geniuses are working on tech tips that we will showcase on KMMI every Tuesday. Leslie, Matthew, and Max are writing down a list of various ideas to pick and choose from for Tech Tip Tuesday. Hopefully we finish soon and can present on Tuesdays.